Having internet access with a painfully slow connection can mean the kiss of death for a business, a nuance for a University student, and a punishment to misbehaving kids. A country without a reliable internet connection backed by a sophisticated digital infrastructure can also spell trouble for anyone using a hosting a provider within that area. Latency across the board, power outages, and server issues are all common problems faced by web hosting providers who are forced to cope with a less-than-optimal internet backbone. The United Kingdom has played a major role in helping develop and cultivate the internet since its inception. This isn’t too surprising considering the UK has one of the most developed and extensive infrastructure systems in the world. Throughout the early 1990’s, broadband internet access was first provided by regional cable television and telephone companies. The national broadband market is overseen by UK government watchdog Ofcom. The United Kingdom’s internet runs on a mixture of underground and undersea copper cables, microwave relay systems, and fiber-optic cables. The good? Britain is one the most well-connected countries in the European Union when it comes to standard, superfast, and mobile broadband coverage. The bad news? Like many European countries, the quality of your internet depends almost entirely on where you’re located. You can expect blazing fast connections throughout London and its hinterland, Manchester, as well as other major cities. People located in England’s valleys, however, are not so lucky. Even villages in West Yorkshire are known to offer fast connections to half its residents while neighbors are forced to cope with super-slow internet access. Like other European nations, the United Kingdom’s digital infrastructure – while effective – is still a work in process. Luckily, the country is headed in a positive direction. In November 2016, Chancellor Philip Hammond announced that a new investment fund of £400 million would be used to help aid fiber-optic broadband providers looking to expand their services. An additional £740 million will be allocated to aid the development of a 5G fiber-optic network, though there has not been a date set for the launch of 5G services in the UK. This haste towards a stronger fiber-optic backbone is largely due to the fact that only 2% of UK residents have full fiber connections. UK’s full fiber connections are known to have download speeds of up to 1 Gbps, which is an astounding 35 times faster than the average UK internet speed of 28.9 Mbps, according to Ofcom. In addition, 12 million UK homes are expected to have broadband speeds of over 300 Mbps by 2020, a result of the £6 billion investment package through the Digital Infrastructure Investment Fund. Virgin Media also announced its plans to invest £3 billion to improve their own UK fiber-optic network in an effort to increase their reach from 13 million to 17 million homes. According to the 2015 Q1 State of the Internet report released by Akamai, the United Kingdom had an average internet download speed of 10.8 Mbps, at the time giving them a world ranking of 18th. While this average speed is well above the global average of 4.5 Mbps, it’s still relatively low, and puts Britain behind countries like Latvia, Denmark, and Romania. Luckily, the UK’s overall internet speeds are improving. According to Akamai’s 2016 Q2 report, the average download speed is now 15 Mbps, versus a global average of 6.1 Mbps. But unfortunately, the UK’s average download speed world ranking stands at 20th. Subsequently, the UK’s peak download speed was 61 Mbps. There’s not much of a noticeable difference between the United Kingdom and United States’ internet in terms of network infrastructure and internet speeds. But, if you’re starting a website targeted at United Kingdom or European consumers, go with a high-quality United Kingdom hosting provider. If you target a European audience and rely on a USA web host, you’re bound to run into latency issues, which can have a profoundly negative impact on the customer’s user experience. We went and examined all the major UK hosting providers to find who offers the best services at the best prices. We looked at elements such as infrastructure, hardware, network reliability, hosting features, support, customer reviews, usability, and prices. This comprehensive list includes large corporate providers and small independent web hosts, with no biases attached. All providers maintain servers in the United Kingdom. Here’s our list of the top 20 best UK hosting companies. TsoHost was founded in 2003 by the Paragon Internet Group. Based in London, TsoHost now maintains over 500,000 websites. TsoHost is also an ICANN-accredited company who utilizes multiple UK-based data centers. Despite fantastic user reviews, TsoHost’s shared web hosting capabilities are limited in storage, bandwidth, and memory. But if your CPU resource needs are light, we do recommend checking the company out. They’re honest, transparent, have great customer support, and have received outstanding reviews from customers. Names.co.uk is a subsidiary of the Dada Group and has been in business for over 18 years. The company’s various UK web hosting solutions, along with a superb customer service team, has enabled Names.co.uk to receive multiple industry awards, including: ‘Best Shared Hosting Provider’ by the internet Service Providers Association (ISPA) in 2010, and for being one of the ‘Top 25 Most Popular Dedicated Server Providers’ in 2011. Each UK shared hosting plan from Names.co.uk comes with one free domain, daily backups, and is compatible with both Windows and Linux operating systems. They do appear to be reseller-friendly. If you’re a single-site user and want as much storage as possible at a reasonable price, Names.co.uk’s Starter hosting plan is a great option. UK2 was established in 1998 by John Morris and Adam Kilgour, who have a combined 32 years of web hosting experience. The company is headquartered in Shoreditch, London, where they power thousands of websites for users in over 100 different locations. Each hosting plan includes one free domain name. Budget-minded users will probably enjoy UK2’s Essential Hosting plan, with its unmetered storage space and the ability to manage 10 different websites, the price is fair. On the other hand, while their Cloud Business package comes with a few free tools, it is priced on the higher side when you consider the fact that “Unmetered” resources does not always mean limitless. NetHosted is a privately-owned UK hosting provider formed in 2004. All servers are maintained locally inside a state-of-the-art facility that once served as a US Air Force bunker in Newbury, Berkshire. NetHosted offers a 30-day free trial and maintains a 9.6 out of 10 rating on TrustPilot. NetHosted’s prices are good, but the addon costs are a little steep. A basic SSL certificate costs £35, an SSL certificate with a Site Seal costs £99, semi-dedicated IP’s cost £3, while fully dedicated IP’s come with a £4 monthly price tag. Their most basic hosting plan is cheap, but we wish they offered more than a single GB of storage space. But their unlimited Web Max plan has a good price tag. Recently established, CloudAbove is owned by SwBroadand Ltd. and is registered in England. Out of 149 customer reviews on Serchen, CloudAbove maintains a 5-star rating. CloudAbove’s UK-based shared hosting plans also include one free domain, an SSL certificate, and daily hard drive backups. There are no hidden fees. Good prices, great customer reviews, unlimited features, and fast SSD drives are a few reasons to choose CloudAbove as your next best UK hosting provider. VidaHost was founded by two teenagers who wanted better quality service for their personal websites back in 2004. VidaHost is also a founding member of the Paragon Internet Group. Their privately-owned data center is based in Maidenhead, Berkshire. The facility has direct data connections to the London Internet Exchange. VidaHost also includes one free domain name, SSL encryption, daily backups, and dozens of applications alongside a number of developer tools. The Ghost blogging platform costs £2.99 per month, SSL certificates start at £46.80 annually, and MS SQL databases cost £50 each year, but are included with the Unlimited plan. 34sp maintains a 9.5 out of 10 rating from 147 TrustPilot reviews. They store their hosting equipment inside TeleCity’s Synergy House facility, which utilizes a multi-homed BGP network with major transit carriers like Level3, Cogent, and Hurricane Electric. Seeing as they support all major programming languages, 34sp’s Professional shared hosting packages are tailor-made for designers and developers. 34sp also uses its own proprietary control panel with your choice of WordPress, Weebly, or Joomla installed. While they offer free weekly backups, daily backups come with a £2.50 price tag. Along with their data center, SquirrelHosting’s main office is headquartered in Yorkshire. The company was founded in 2014. Aside from their web hosting services, SquirrelHosting sells domains at exceptionally low prices. All hosting packages run on the cloud. Available addons include: virus scanning (£29.97 yearly), a premium mailbox with 2 GB storage (£9.87 yearly), domain privacy (£9.61 yearly), an Exchange mailbox with a 30 GB capacity (£104.22), simple SSL (£69.67), standard SSL (£260.75), and a MS SQL database (£172.61). Apart from their high-priced addons, the second downside to using this UK web host is the fact you can only host one website, which just isn’t practical for digital marketers and entrepreneurs. EasySpace got its start in 1997. From humble beginnings to becoming one of the largest web hosts in the United Kingdom, EasySpace is one of the only hosting companies in the world to invest millions of their own into 10 UK data centers and its corresponding networks. Data center locations include: Glasgow, Manchester, Leicester, Nottingham, Maidenhead, and London. EasySpace’s shared hosting plans also include one free domain registration, a £75 Google AdWords voucher, and are compatible with Windows and Linux. Unfortunately, domain privacy is not included, but costs £6.50, while spam protection costs £25 after a 21-day trial, and backups cost £35 after a 21-day trial. All-in-all, EasySpace is a great UK hosting candidate for those seeking a local provider who has full control over their infrastructure. EukHost was established in 2001 and is based in Leeds. They maintain over 1,200 servers inside two modern facilities located in Maidenhead and Nottingham. Out of 1,233 customer reviews from Facebook and Google+, EukHost maintains a modest 4.6 rating. A free domain name is included if you choose to be billed annually. EukHost also throws in free daily backups, provides unlimited email accounts, and includes cPanel. We do wish the company provided more details. While their Basic hosting package has the lowest price, we consider their Advanced plan to carry the most value. SiteGround, a popular budget host, was founded in 2004 by a group of entrepreneurial graduate students. Today, SiteGround employs over 400 people and houses over 500,000 domains. They have data centers in Chicago, Milan, Amsterdam, Singapore, and London. SiteGround’s shared UK hosting plans also include free SSL’s and HTTP/2, unmetered monthly bandwidth, Cloudflare, and free daily backups. Overall, SiteGround is a trusted hosting provider who’s rightfully gained notoriety within the hosting industry. Out of 484 customer reviews from WebHostingGeeks, SiteGround holds a 4.5-star rating. WebHosting.uk.com is a privately-owned company founded in 2001. They serve over 35,000 international customers, are members of the Hyperslice Group, and are based in West Yorkshire, Leeds. A free domain is available for the Starter plan if you purchase at an annual rate, while the Developer plan includes a free domain regardless of billing cycle. cPanel and free daily offsite backups are also included, but no further addons are available. Out of 528 user reviews from TrustPilot, WebHosting.uk.com maintains a solid 4.5-star rating. HeartInternet.uk is an industry leading UK web host established in 2004. HeartInternet was built by in-house experts who maintain their own UK data centers, which features multiple 10 Gbps connections using various network providers. HeartInternet has received several industry awards, including being named as the ‘UK’s Best Web Hosting Company’ in 2013, 2014, and 2015 in the PC Pro Awards. HeartInternet’s shared hosting plans are compatible with Linux and Windows OS, and include an eXtend control panel, SSH access, virus scanning at £19.99, site directory indexing, and over 70 one-click apps. In the end, there’s no particularly negative comments or reviews from customers, but we do wish they provided an optional cPanel control panel and came with zero setup fees. But in the end, we highly recommend checking out HeartInternet, especially if you’re looking for a cost-effective solution that comes with unlimited SSD storage – great value here. Hosting.co.uk opened its doors in Newark in 2012. Their network, data center, and servers are housed in a Tier-4+ facility located in the East Midlands. Apart from the over 200 apps that are included, Hosting.co.uk doesn’t throw in many additional freebies. A dedicated IP address is included with the Ultimate plan, otherwise it costs £20 per year. Apart from this, SSL certificates start at £7.50 and go up to £55 annually. 123-Reg has been operating as a United Kingdom hosting provider since 2000. The company is ICANN-accredited and located in Middlesex, England. 123-Reg houses over 3.5 million domain names, has hosted nearly 1 million websites, and utilizes multiple eco-friendly data centers backed by 10 Gbps network connections. A free SSL certificate is included with 123-Reg’s Unlimited plan, otherwise it costs £1.25 per month. Professional email hosting costs an extra £3 per month, a SiteLock Fix malware scanner costs an additional £2.50 per month, Office 365 can be thrown in the mix for £8.99 per month, while automatic data backups cost £9.99 per month. Out of 2,598 TrustPilot customer reviews, 123-Reg has a commendable 4.5-star rating. Jolt.co.uk was once the UK hosting arm of WebHostingBuzz, but in 2015 became its own privately-held company. Jolt maintains its servers inside a Tier-4 UK datacenter located in Newark, Nottinghamshire. Jolt has also received multiple UK web hosting awards, such as being awarded the ‘Best VPS Hosting’ title by WebHostingRating. Jolt relies on Dual Xeon E5-2620 processors, with each hosting plan including free daily backups, free site migration, CloudFlare, and an unlimited number of parked domains. Available addons include: Site backups (£15 annually), Comodo Positive SSL (£5 annually), and a Comodo Positive Wildcard SSL (£55 annually). There aren’t enough reviews from Jolt customers to draw any critical conclusions, but regardless, we consider Jolt’s Premium United Kingdom hosting plan to be an excellent value buy. Since their inception in 1999, FastHosts.co.uk has been widely considered to be one of the best United Kingdom hosting providers in the industry. FastHosts has put forth millions of pounds to build and maintain their own two state-of-the-art data centers in Gloucester, England. FastHosts also throws in a few freebies, which includes one free domain name and £130 in ad vouchers. An addon package can also be added to any UK hosting plan. The Ignite package, for instance, comes with intelligent load balancing, low contention web servers and databases, advanced scripting, and a free SSL certificate for one year – all for one extra pound per month. Great hosting features, good prices – highly recommended. FastComet was formed in 2010 and has served over 11,000 customers across 70 countries. They maintain servers across multiple continents, with their UK equipment residing within a London-based data center. Unlike many UK web hosts on this list, FastComet is thorough in detailing exactly what each customer receives with their hosting plan. Freebies include: A free lifetime domain registration, numerous caching and speed optimization tools, malware protection, free SSL installation, cPanel, developer tools, $75 in Grasshopper credit, and much more. Like many of the reviews left by customers, we strongly encourage UK residents check out what FastComet can do for your website. HostingUK.net is the brainchild of a successful IT consultancy firm founded in 1998. HostingUK is a division of EasySpace Ltd, a member of the ioMart Group. The company owns and operates its own data center, which features multiple backbone connections and peering arrangements with major UK network providers such as LINX, EDGE-IX, and even the AmsIX. A free domain is included with all HostingUK’s plans, excluding the basic Personal Web package. Shared hosting is available with the Cloud Linux or Windows Server 2012 R2 platform. HostingUK has dozens of various SSL certificates for sale, ranging in price from £7.80 to £839 per year. All-in-all, we’re forced to assume HostingUK maintains a perfect 5-star rating through TrustPilot for a reason – they’re excellent at their job. TmdHosting was founded in 2007 and is headquartered in Orlando, Florida. They maintain servers in 7 different certified data centers across the globe. TmdHosting’s London data center can only be used with their shared hosting plans. 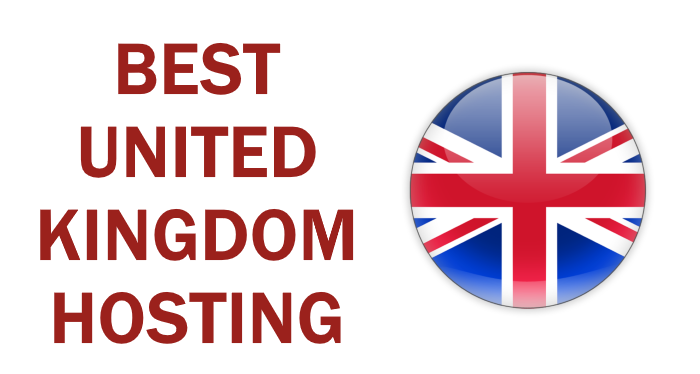 One reason we chose TmdHosting as the single best United Kingdom hosting provider is because of the number of unlimited features they offer. They’re infrastructure, established track record, and super low prices don’t hurt either. Domain protection costs $9.99, Sitelock Basic costs $19.95 per year, sitemap generation costs $9.99, and Google Analytics integration comes with a $15.99 price tag – though, none of these addons are truly necessary. If you’re shopping around for a reliable UK web host who doesn’t empty your pockets, try out TmdHosting today.